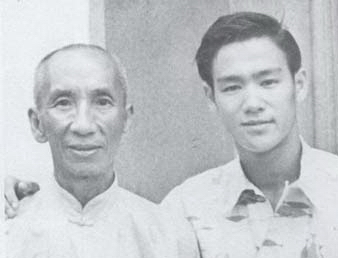 The man who trained Bruce Lee under Grand Master Ip Man. 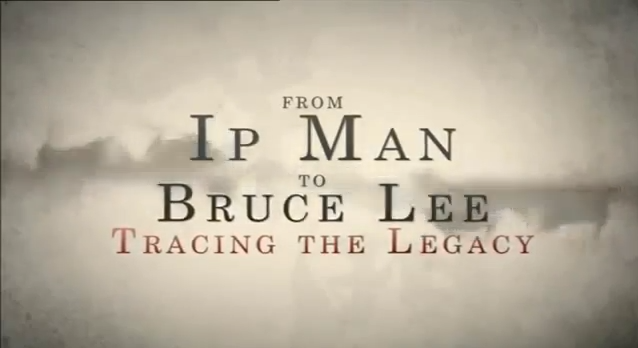 Every martial artist would like to know how and what made Bruce Lee such a devastating fighter. 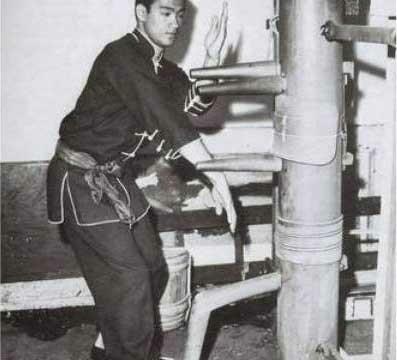 Even though a lot of people associated with Bruce Lee or many claimed to have trained him or trained with him, I can safely say that not many of them were privileged to his secret training method. Bruce and I grew up together. We were friends since we were young boys. 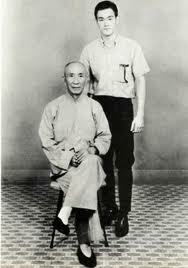 It was I who introduced Bruce Lee to Wing Chun School in the summer of 1954. In the old days, the master would never teach the new students. 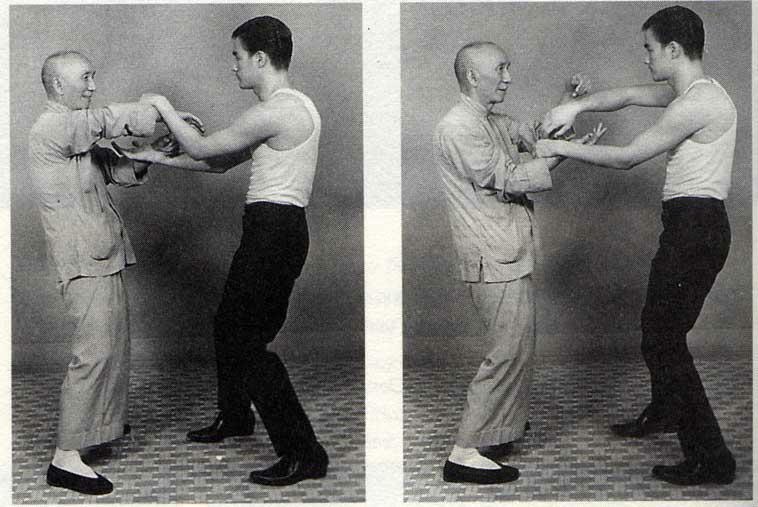 It was up to the senior students to pass on the Wing Chun lessons to Bruce. 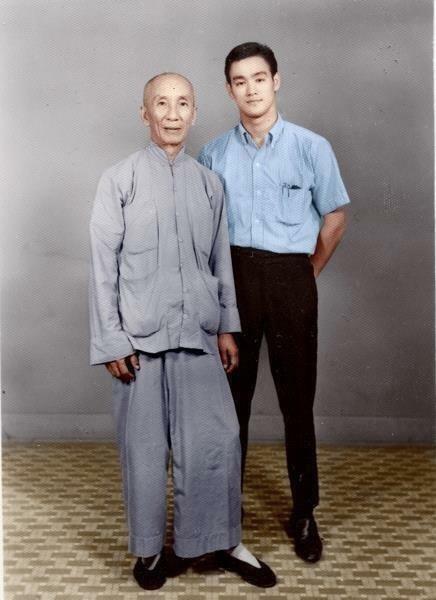 As I was his Kung Fu Senior of many years, I was instructed by Grandmaster Yip man to train him. 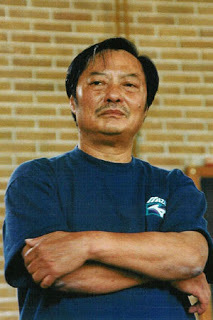 By 1995, one year into his Wing Chun training, Bruce progressed very fast, and already became a threat to most of the Wing Chun seniors as the majority of them were armchair martial artists. 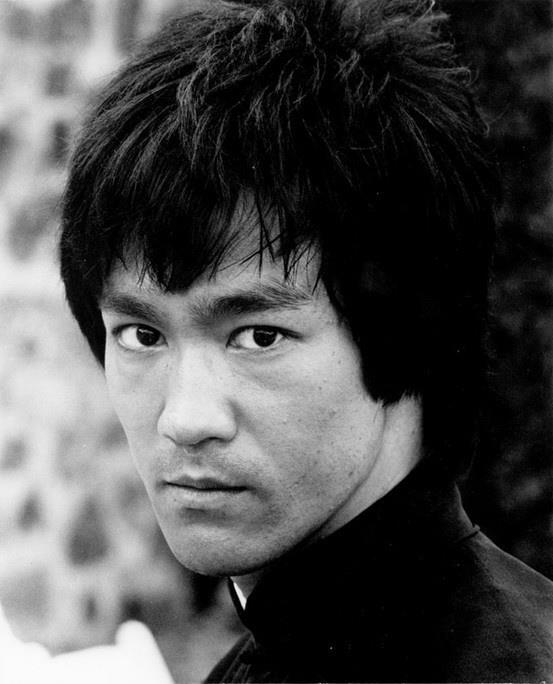 They discovered that Bruce was not a full blooded Chinese because his mother was half German and half Chinese. 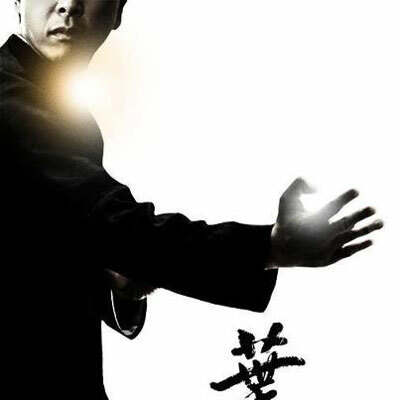 The seniors got together and put pressure on Professor Yip Man and tried to get Bruce kicked out of the Wing Chun School. Because racism was widely practised in Martial Arts School in Hong Kong, the art was not allowed to be taught to foreigners. 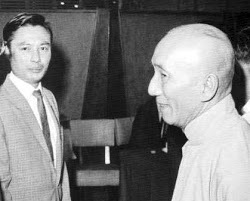 Professor Yip Man had no other choice but to bow to their pressure, but he told Bruce that he could train with me and Sihing Wong Shun Leung. But most of the time we trained together. When under pressure, one must maintain calm. to deal with the outside emergency." The eyes should be able to pick up as much information as possible prior to and during engaging the physical struggle. Watching the elbows and the knees is essential to get the best result. Danny: Have you thought of Tai Chi as a form of self defence? Bruce: Well, if you were there ......... you would be so embarrassed, so it is not even a free brawl .......where a man who is capable of using his tools and who is very determined to be a savage legless attack whereas those SOBs are cowards. Turning their heads and swinging punches and after the second round they are out of breath. I mean they are really pathetic looking - very amateurish. I mean even a boxer because a boxer when they concentrate on two hands, regardless of how amateurish they are, they do their thing, whereas those guys haven't decided what the hell they are going to use. I mean before they contact each other they do all the fancy stances and all the fancy movements, but the minute they contact they don't know what the hell to do. I mean that's it. They fall on their arses and they .. and hold and grapple. I think the whole Hong Kong - they call it Gong Sao- Challenge Match in Hong Kong - can you imagine that, I mean even those guys see it that way. What do you think of the appreciation of people here? So what I'm hoping to do in film is raise the level." Furthermore Bruce was very innovative. 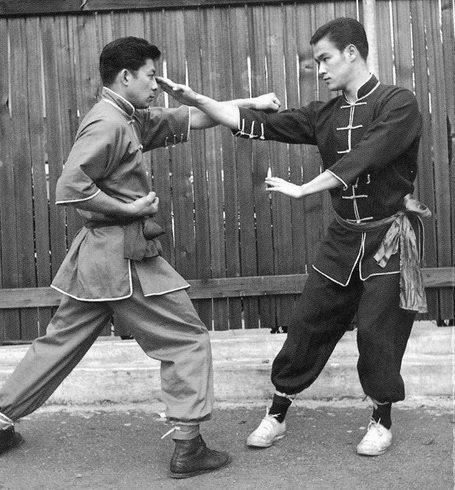 Back in the 50's, the Chinese Martial Artists were very conservative. They believed that weight training would slow down the practitioner's speed. But Bruce found a way to beat it. He would start his program with heavy weights and low repetitions first, then he reduced the weights and increased the repetitions. He continued to do that until his repetitions reached maximum and the speed of the exercise also increased. In this way he built muscles and developed power without losing speed. 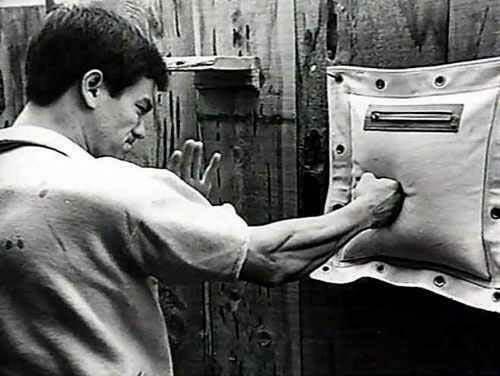 Bruce was also very much against high impact training such as the heavy bag kicking because he understood that the result from the high impact would only develop bulk muscles and they would slow down the practitioner's speed. 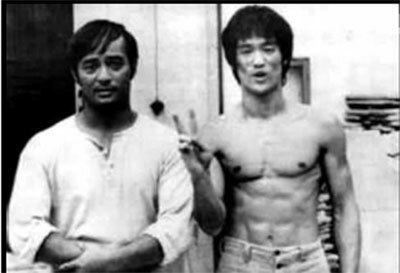 "Danny: Danny ( Inosanto) was excited yesterday. Danny: He didn't want us to do any more heavy bag kicking. He wanted us to just kick at something light. 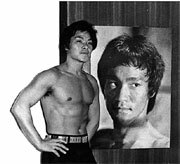 Bruce: When you use your leg it is much better - to kick at the phone pad or whatever - watch out with the side kick on air kicking - not air kicking too much. If you snap it too much without contact at the end you can get hurt." 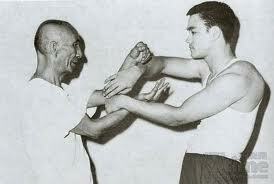 Danny: So that's why - I've been working with Dan (Inosanto) a lot. Bruce: I told him last time he's becoming very stylised. And it seems like his consciousness is really - something is bugging him. He's working out real hard. 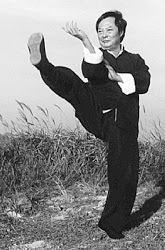 "About four years of hard training in the art of gung fu, I began to understand and felt the principle of gentleness - the art of neutralizing the effect of the opponent's effort and minimizing expenditure of one's energy. All these must be done in calmness and without striving. It sounded simple, but in actual application it was difficult. The moment I engaged in combat with an opponent, my mind was completely perturbed and unstable. 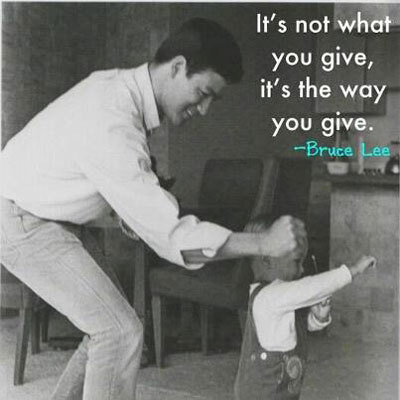 Especially after a series of exchanging blows and kicks, all my theory of gentleness was gone. My only one thought left was somehow or another I must beat him and win. 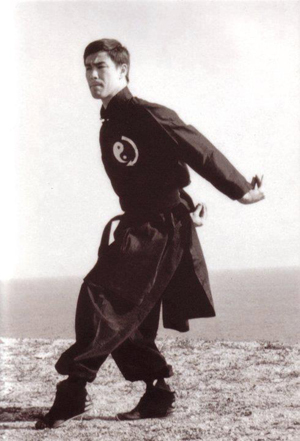 My instructor Professor Yip Man, head of the Wing Chun School, would come up to me and say, "Loong (Bruce's Chinese name), relax and calm your mind. Forget about yourself and follow the opponent's movement. Let your mind, the basic reality, do the counter-movement without any interfering deliberation. Above all, learn the art of detachment." That was it! I must relax. However, right there I had already done something contradictory, against my will. That was when I said I must relax, the demand for effort in "must" was already inconsistent with the effortless in "relax". When my acute self-consciousness grew to what the psychologists called "double-blind" type, my instructor would again approach me and say, "Loong, preserve yourself by following the natural bends of things and don't interfere. Remember never to assert yourself against nature: never be in frontal opposition to any problem, but control it by swinging with it. Don't practice this week. Go home and think about it." I try to attend a Dan Inosanto Seminar at least once a year. I was already inspired by Bruce Lee in The Green Hornet. This is the Green Hornet episode I saw at age 15 that was the WOW!!! factor for me to convert from Japanese to Chinese. Bruce is a Chinese actor playing as a Japanese guy, fighting Mako, a Japanese actor playing as a Chinese guy.